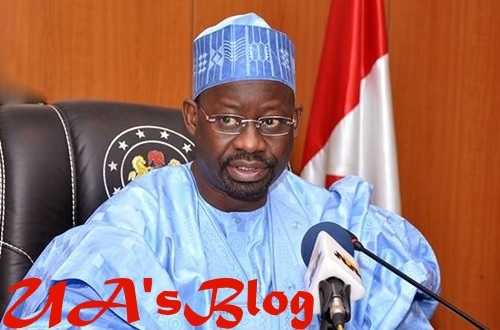 2019 Presidential candidate of the Peoples Democratic Party, Ibrahim Dankwambo, has declared that all PDP presidential aspirants are better than President Muhammadu Buhari. While speaking at the Plateau State PDP secretariat on Monday, Peoples Democratic Party (PDP) presidential aspirant, Ibrahim Dankwambo, said that everyone gunning for the presidential slot under the opposition party has better leadership qualities than the incumbent, President Muhammadu Buhari. According to PREMIUM Times, the Gombe State governor made the disclosure during his visit to lobby the state’s delegates ahead of the party’s primaries scheduled next month. Dankwambo said whoever wins the PDP ticket should be supported by all the others as anyone who emerges PDP candidate would perform ”far better than President Buhari” who will be running for a second term under the ruling All Progressive Congress. “We are about 13 aspirants jostling for PDP presidential ticket and every one of us is better than Buhari because our great party PDP has trained us so much so that we can rescue this country. We have good training from the party,” he said. PDP currently has about 13 prominent politicians expected to slug it out to get the PDP ticket at its upcoming primaries. These include a former vice president, Atiku Abubakar; ex-governors, Rabiu Kwankwaso, Sule Lamido, Jonah Jang; a governor, Aminu Tambuwal, Senate President Bukola Saraki and a host of others. It was gathered that Dankwambo had on Monday, told the delegates what he had to offer Nigerians if elected to fly the party’s flag. “I want to assure you that I will provide free education in Nigeria if elected. During our time, education was free. I benefitted from that policy because my father didn’t pay for my education. I have enjoyed that privilege and I want other Nigerians to also enjoy that. “I worked in the financial sector before I became governor of my state. I have many degrees from different fields. I worked in the best places you can think of. So, I have the experience that I will (use to) fix the economy of the country,” he said. Dankwambo also said he would provide security for Nigerians. “You all know how I tried in terms of security in Gombe State. Gombe State is the only state in the North-east that Boko Haram couldn’t penetrate because we were able to secure the state,” he said.